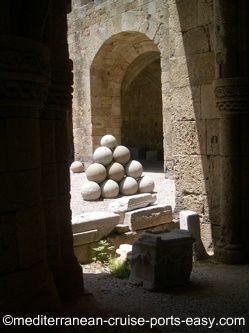 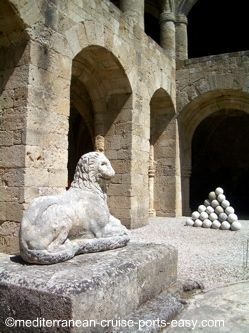 In the courtyard you will see medieval stone statues like this Hellenistic lion, and catapult projectile balls which are left over from at least a dozen sieges that Rhodes has experienced in its turbulent past. 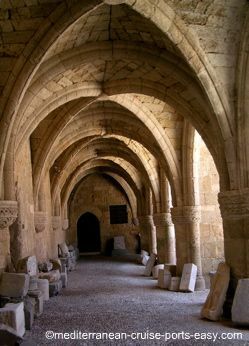 Walking along the cloisters around the courtyard of the Archaeological museum you will see different inscriptions, funerary stelae and other fragments of ancient and medieval stone sculptures and architecture. 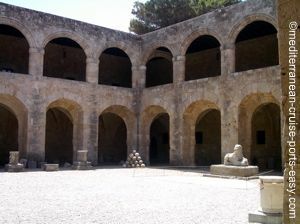 There is also a smaller courtyard which houses funerary monuments. 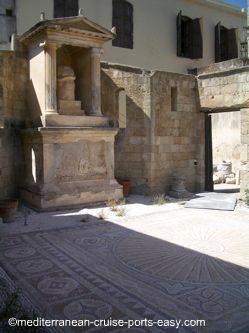 This particular one is a reconstruction of a tombstone in front of a small temple housing a trophy. 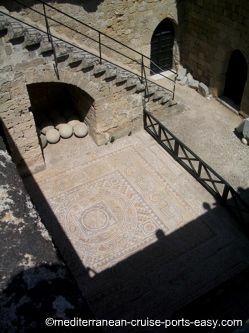 This early Christian mosaic is best seen from above, from a terrace which can be accessed from one of the rooms on the first floor of the Archaeological Museum. 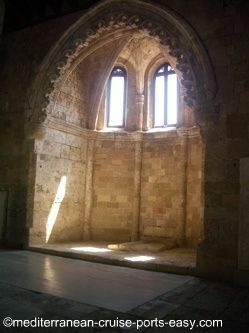 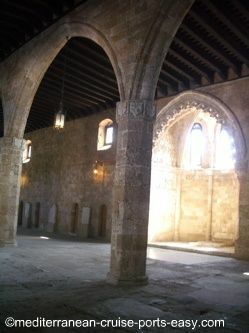 The Refectorium is the biggest room on the first floor of the Rhodes Archaeological museum. 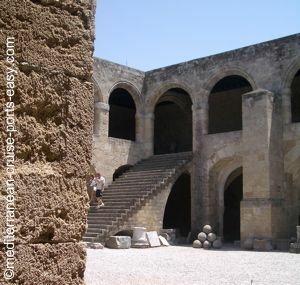 Although there aren't many or any important finds to be seen here, simply enjoy the mystic atmosphere.